Latvia is a dynamic country with two million inhabitants. It has been a gateway between the EU and the Commonwealth of Independent States (CIS) for centuries. A number of Latvian cities were part of the Hanseatic League, an economic alliance of cities and merchant guilds that dominated trade along the coast of northern Europe. And today, Latvia continues to be a hub for international business and trade, with an open market that is strong, stable, and secure. The key principle for its success is the equal treatment of both foreign investors and domestic companies. Having joined the eurozone this year, the Latvian government’s industrial economic policy and ongoing reforms – especially in the education system – will continue to strengthen the economy, further improving the country’s performance internationally. The country has a multilingual and highly skilled labour force, three ice-free international ports and four special economic zones, which offer attractive tax discounts. Other important assets, according to the Investment and Development Agency of Latvia, include the largest international airport in the Baltic states, a highly developed ICT infrastructure, as well as direct access to the EU external border with Russia and common railway infrastructure with CIS countries. Latvia has very competitive electronics, metalworking and mechanical engineering sectors, which export over 80 percent of their output. Trelleborg Wheel Systems (TWS) – the leading global supplier of tyres and complete wheels for agricultural and forestry machines, forklift trucks and other materials handling vehicles – moved to the country seven years ago and decided to place its manufacturing unit in Liepāja, the third largest city in Latvia. These benefits can be found in almost every corner of the country. 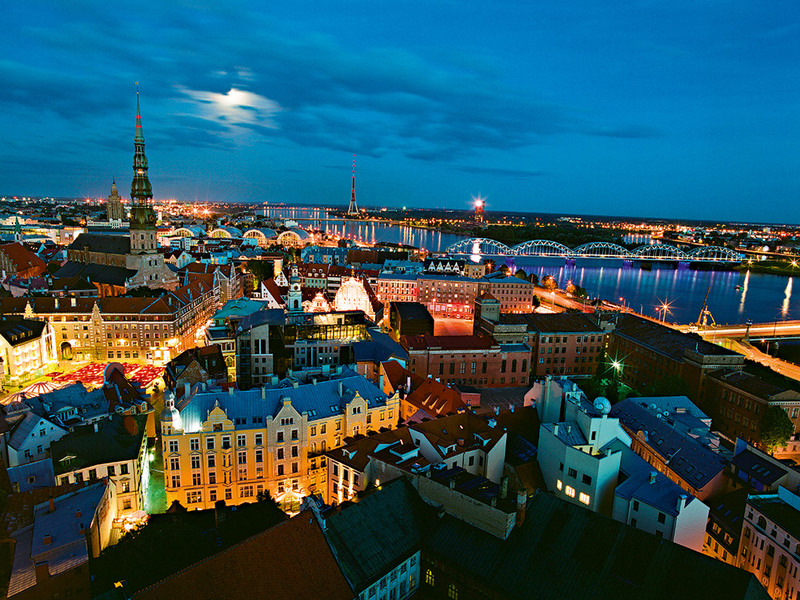 Capital city Riga is the largest city in Baltics, the second largest city in the whole Nordic region and a European Capital of Culture for 2014. Through the combination of the aforementioned multilingual workforce (almost everybody in Latvia speaks at least two foreign languages), and the largest international airport in the region, Riga is becoming a more desired location for global business services. This can be seen in the number of existing businesses based in the capital and the success that they have been enjoying. This includes Europe’s leading credit management services company, Intrum Justitia. Those are just a few examples, with Latvia proving a strong force in several other industry sectors. It has an advanced woodworking sector with a well-established resource base; it ranks first in Europe for the largest share of value added in GDP from transportation and logistics; it ranks second across Europe for the consumption of renewable energy sources; and is also second in Europe for wage-adjusted labour productivity in research and development. Despite its industrial prowess, Latvia has a landscape that has preserved its natural beauty, which together with medical knowledge, helps rapidly develop medical tourism services. Blessed with hundreds of kilometres of white sandy beaches, these natural and largely unpolluted surroundings give the country a strong input in the food processing industry, with availability of high-quality raw materials and organic produce. But best of all, Latvia is simply a great place to live. And, as more international businesses establish a base in the country, it is becoming more vibrant and influential than ever. Companies or investors that wish to take advantage of opportunities offered by Latvia have access to a one-stop shop for assistance in setting up and doing business in the country – the Investment and Development Agency of Latvia (LIAA).